‘Marmalade. 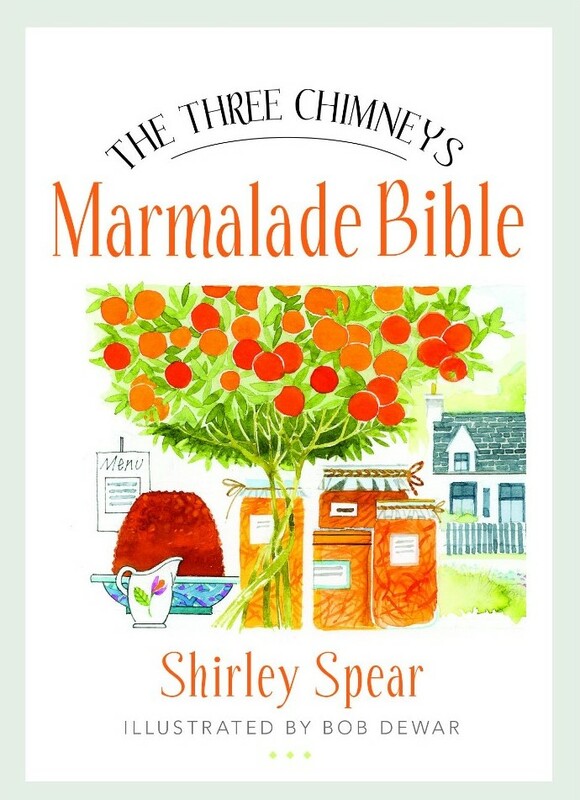 You either love it or loathe it – and I adore it’… begins Shirley Spear in her book The Three Chimneys Marmalade Bible. Shirley Spear and her husband Eddie opened the internationally acclaimed The Three Chimneys on the Isle of Skye in 1984. Although they had no previous experience of running a restaurant, The Three Chimneys was listed in the Top 50 Restaurants in the World in 2002 and 2003. Housed within a beautiful 100 year old stone cottage, it sits on the shore of Loch Dunvegan in north west Skye. 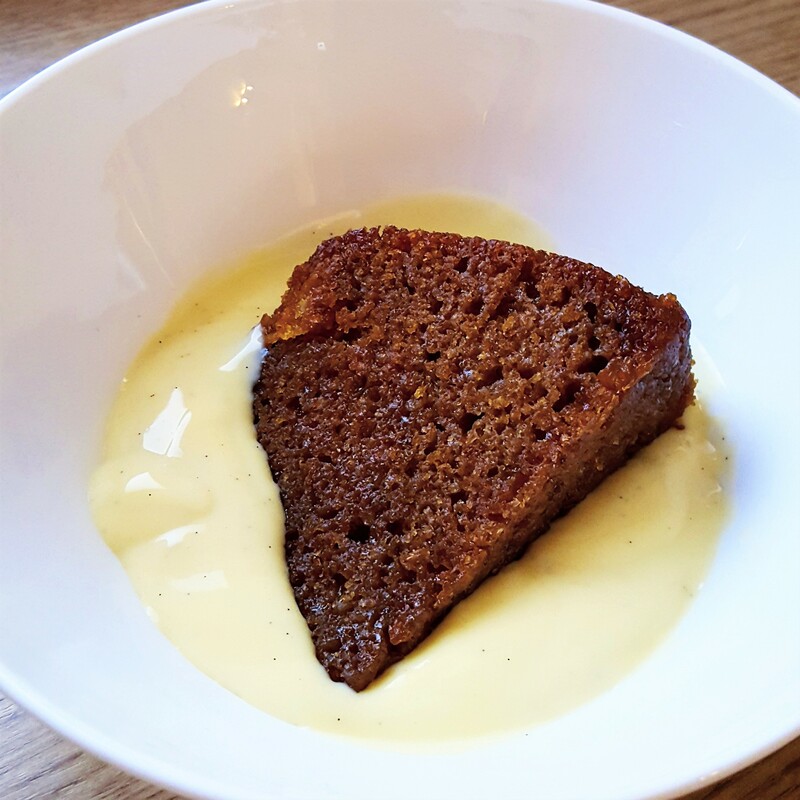 This Hot Marmalade Pudding has been on the menu since day 1 and it remains on the menu for both lunch and dinner, to this day. It has never been removed and each winter they make enough marmalade for the year ahead so they never run out. 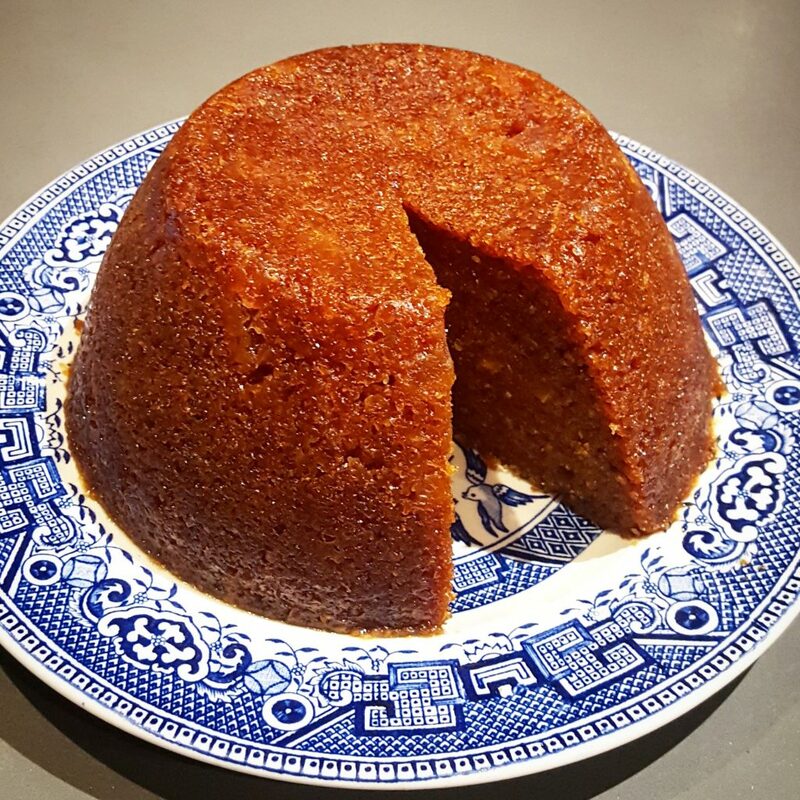 Nick Nairn chose this pudding for BBC’s Great British Menu and judge and restauranteur Oliver Peyton described it as “the best pudding I have ever tasted”. This pudding is so light and spongy, and so moist. Its not a stodgy, dense suet pudding with a dollop of marmalade at the bottom, as you might imagine. The marmalade is thoroughly incorporated into the mixture, giving it the most terrifically vibrant taste and colour. You will need a 3 pint pudding basin for this recipe. Ideally with a lid, otherwise you can use greaseproof paper, foil & string. Butter your pudding basin well. 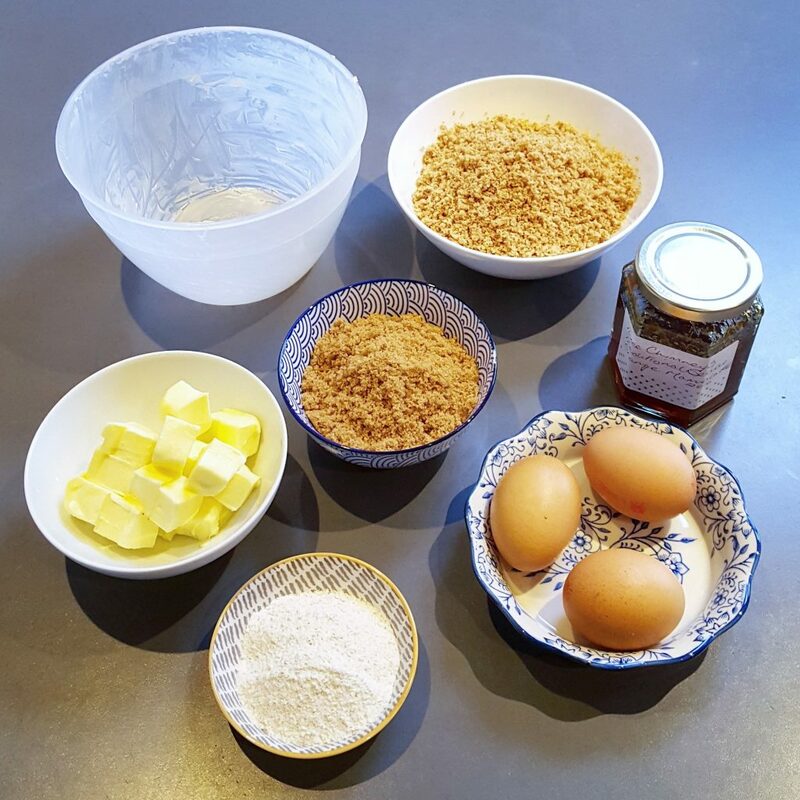 Place the breadcrumbs, flour and sugar in a large mixing bowl. Melt the butter together with the marmalade in a saucepan over a gently heat. 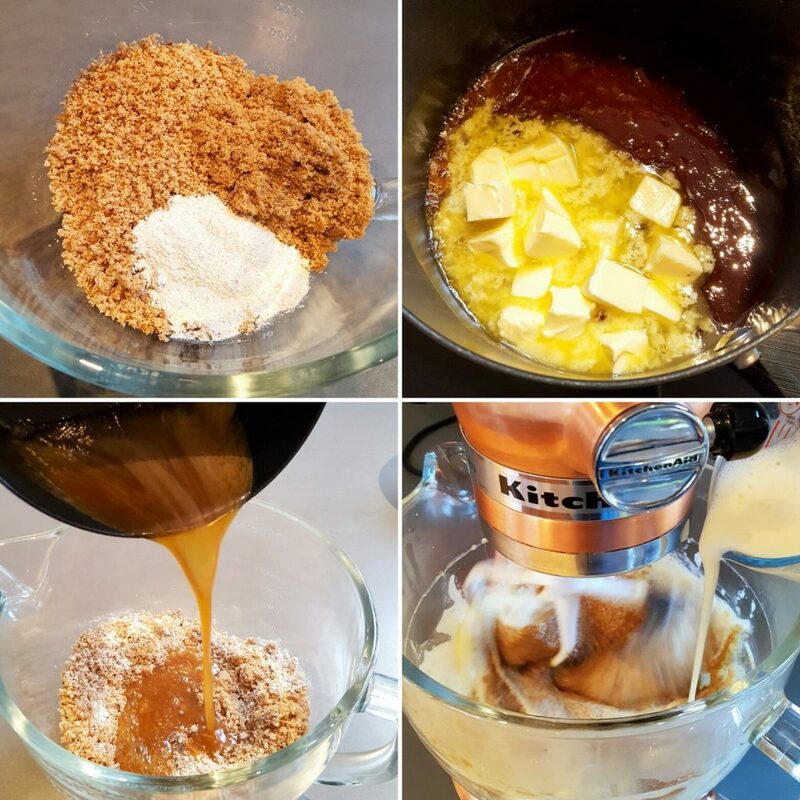 Pour the melted ingredients over the dry ingredients and mix together thoroughly. 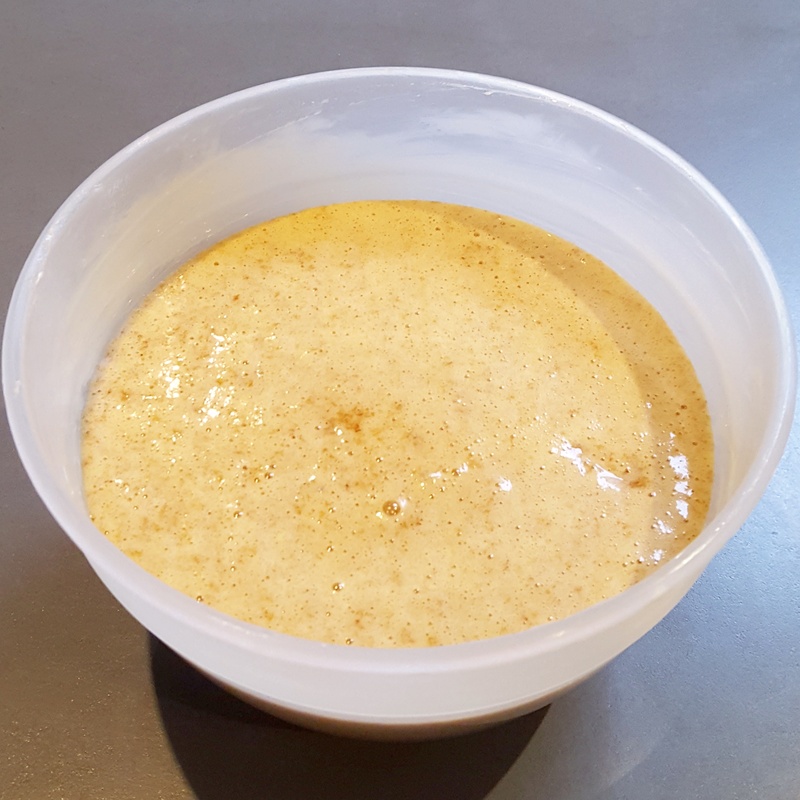 Whisk the eggs until frothy and beat gently into the mixture until blended together well. Last of all, dissolve the bicarbonate of soda in 1 tablespoonful of cold water. Stir this into the pudding mixture, which will increase in volume as it absorbs the bicarbonate of soda. Spoon the mixture into the prepared basin. Cover it with a close-fitting lid, or alternatively, make a lid with circles of buttered greaseproof paper and foil, pleated together across the centre and tied securely around the rim of the basin. Place the pudding basin in a saucepan of boiling water. The water should reach halfway up the side of the basin. (Ideally you could use a bigger pan that I did! This was the largest one I could find). This can be made in advance and freezes well whole, or in portions. It can be steamed to re-heat it, or a portion could be warmed quickly for a few seconds in a microwave. 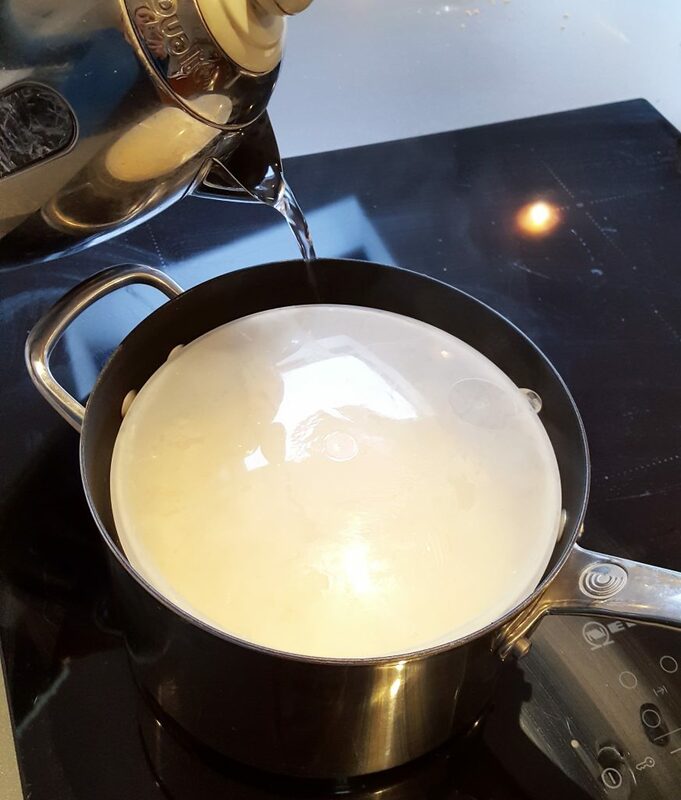 Gently warm the milk and cream until it is just beginning to bubble. Pour the milk and cream on to the egg and sugar mixture and whisk together. Return the mixture to the saucepan. Bring to the boil very slowly, stirring all the time. As soon as it begins to thicken, or coats the back of the wooden spoon, remove from the heat and pour into a bowl or jug for serving. Stir in the Drambuie, or flavouring of your choice, such as vanilla, ginger, or crushed cardamon for example. Serve immediately. Alternatively, cool the custard quickly in a bowl sitting on ice and refrigerate when cold, until required.